This problem was recognized by scientists from major fleet agencies, and dedicated steps were taken to fix the situation and design seat testing requirements and standards. The tests require careful measurements in a controlled environment, impact severity assessment algorithms, and standardized reporting formats that allow for direct comparison between competing products. 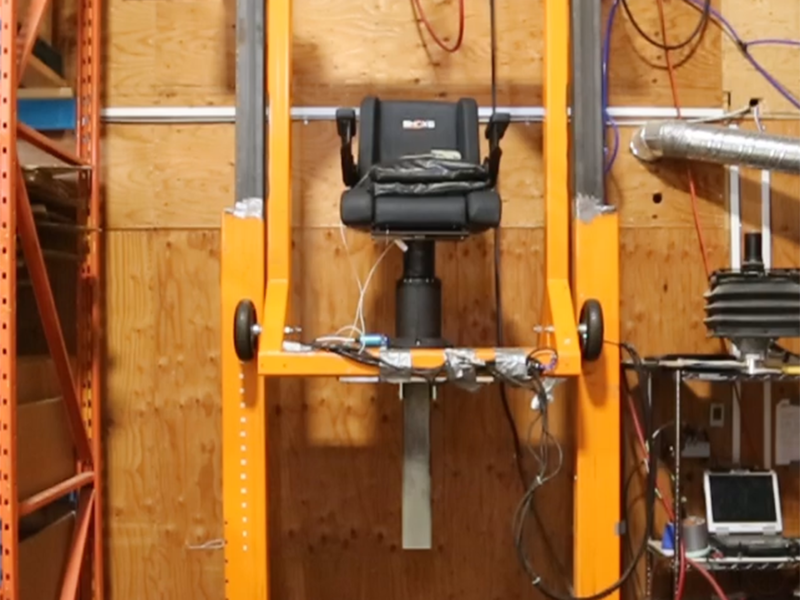 The performance tests require that suspension seats are attached to the deck of a drop-test rig, loaded with weights, and raised to various heights, then dropped. Data from accelerometers attached to the seat is filtered and processed to determine the seat’s response in a manner relevant to human health. The same calculation is performed for the acceleration measurements made on the deck, and the two results are compared to see if the seat has reduced the impact severity. SHOXS has taken a measurement-driven approach to the problem of marine shock mitigation. At SHOXS headquarters, the technical team developed a drop tower that continues to see regular use and recently underwent a major upgrade to increase its capabilities. SHOXS remains committed to continually assessing and improving our approach to the science of shock mitigation, with the ultimate goal of transforming the moment of impact into a safer experience for all who work or play on the water.